Society for Centralized Recruitment of Staff in Subordinate Courts under High Court of Punjab and Haryana (S.S.S.C.) on behalf of the District and Sessions Judges of the State of Haryana, invites online applications from eligible candidates for the Post of Clerk. Total No. of Post is 352. Interested candidates may apply online from 07 January to 07 Feb 2019. Educational Qualification: The applicant should possess a degree of Bachelor of Arts or Bachelor of Science or equivalent thereto from a recognized university. He/she should have passed matriculation examination with Hindi as one of the subjects and must have proficiency in operation of computers (word processing and spreadsheets). The applicant who is possessing the degree of Graduation from any stream i.e. 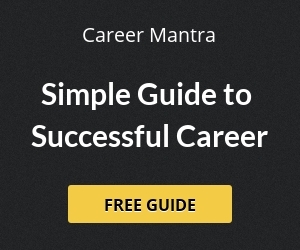 Arts, Science, Commerce, Computer or equivalent thereto is eligible. Age Limit: 18 Years and Max. 42 Years as on 01 Jan 2019. Pay Scale: The salary, pay, and allowances of the selected candidates will be governed as per the latest rules and instructions adopted by Haryana Govt. Interested candidates may apply online through the official website i.e. www.sssc.gov.in from 07 Jan to 07 Feb 2019. The online registration/filling of application forms by the applicants will consist of two steps. Registration Step I: Applicant will get his/her Registration ID and password and will print ‘Cash Deposit Receipt’ for deposit of fee in the designated bank (State Bank of India). Thereafter the applicant shall deposit the requisite fee in any branch of State Bank of India after completion of Registration Step-I. Registration Step II: After completion of Registration Step-I, the applicant shall thereafter fill the remaining particulars i.e. uploading of photograph/signature, qualification and fee payment details in the form, then to “LOCK & SUBMIT” the application form. 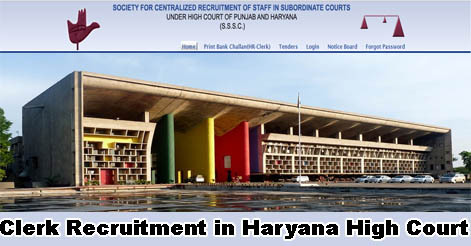 Help us to improve this article/job posting "Clerk Recruitment in Haryana High Court". We would be glad if you can comment below and provide your valuable suggestions and feedback. If this page have any wrong information/list or out of context content, then you can report us as well.